Advanced automation will allow the warship to operate with a much smaller crew size than current destroyers. The Zumbalt is the first new class of warship built at Maine’s Bath Iron Works since the Arleigh Burke slid into the Kennebec River in 1989. The shipyard is expected to turn the destroyer over to the Navy this week. Future versions of the radical design are expected to be used to test a futuristic ‘Star Wars’ railgun (advanced gun system) that uses electromagnetic energy to fire a shell weighing 10kg at up to 5,400mph over 100 miles. The slow-going and rising costs were little surprise after the General Accounting Office (GAO) warned that the Navy was trying to incorporate too many new technologies into the ship. 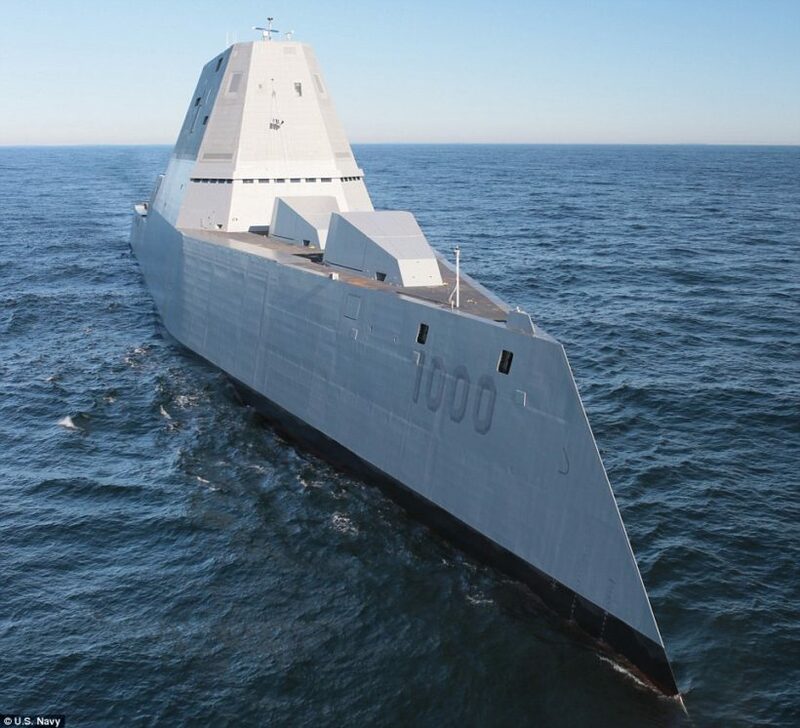 “Zumwalt was a challenge to assemble because of all the new technologies, but sea trials show it is a world-class warship with unique capabilities,” said Loren Thompson, senior defense analyst with the Virginia-based Lexington Institute. 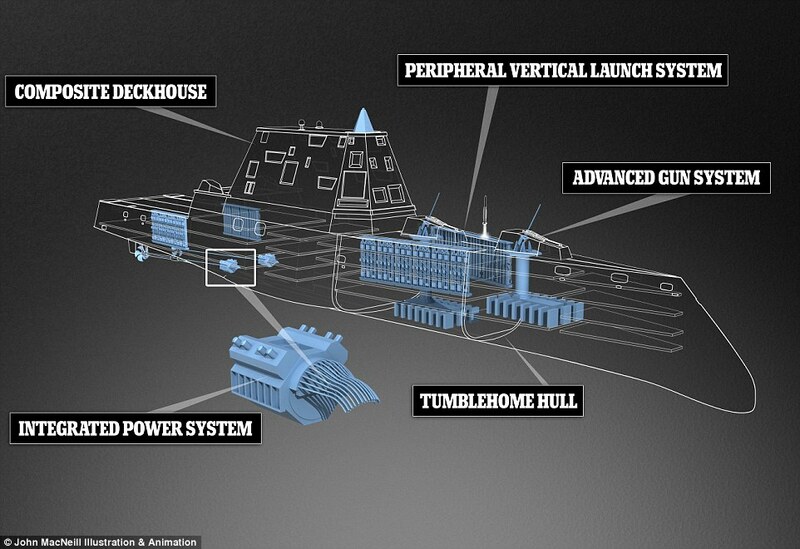 1. a) What is the Zumwalt? 2. What preparation is currently being made, according to Captain James Kirk? 3. a) Where was the Zumwalt built? b) What is significant about this? 4. Why was the number of this new class of destroyer to be built reduced from 32 to 3? 5. a) How long have some of the ship’s crew been in Bath? For what reason? b) What phase of the process is it at? 6. What phase are the other two destroyers at in the building process? 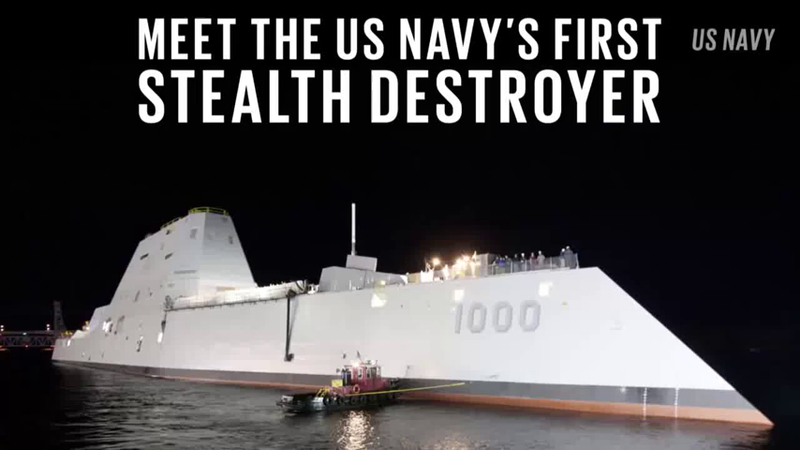 At 610 feet long and 81 feet wide, the first of the DDG-1000 class of destroyers is longer and thinner than the battleship USS Arizona sunk at Pearl Harbor. However it weighs about half as much. Much of the ship’s superstructure is wrapped in a huge canopy made of lightweight carbon fiber composite.